A termination is usually a closed-doors process, and people are silently let go from their jobs. But when the reason for firing is as outlandish as these, it’s bound to make news. The last few days have seen some people getting fired for the strangest reasons. Let theirs be cautionary tales. Unfair terminations or just desserts, you decide. A Delhi traffic policeman was fired after he attacked a young mother-of-three with a brick, apparently after she refused to pay a bribe of Rs. 200 ($3). The incident was caught on camera by a passerby. 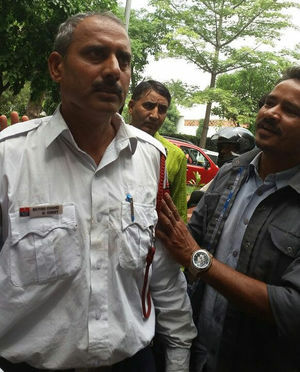 As the video went viral, Delhi Police first hurriedly suspended Head Constable Satish Chandra and then arrested him amid mounting calls that he should be dismissed or compulsorily retired from service. A few days later, he was sacked. A misguided Manhattan teacher was fired for allegedly encouraging her students to use a blackboard to spew hate at fellow student. Investigators determined she went too far with a bizarre assignment that ended with the 13-year-old girl in tears. “Ugly,” “annoying” and “phony” were just some of the words classmates scribbled on the board in the student’s presence to describe the tormented girl, who had complained in the past about bullying. The public post went viral after it was posted in groups around the area. Trolls descended on her, calling her dumb. And then her new employer found the post, called her up, and told her she didn’t need to come in. During a match, a cheeky soccer fan thought it would be really funny to shout a rude obscenity into a reporter’s microphone. The reporter, who had already been annoyed with the regular occurrence of such behaviour, decided that enough was enough and spoke out against her tormentor. His employer, HydroOne, took no time in putting this errant fan in his place and has announced that his behaviour was “reprehensible”, and that he is in the process of being fired. Myrna Arias claims she was terminated because she refused to use a mobile app that would allow her employer to track her whereabouts even when she was off the clock. She is now suing her former employer, electronic money transfer service Intermex, for $500,000 in damages. Arias alleges wrongful termination, retaliation, invasion of privacy and unfair business practices, among other complaints. After police officers Benjamin Deen, 34, and Liquori Tate, 25, were killed in the line of duty, a woman posted a message while wearing her uniform. 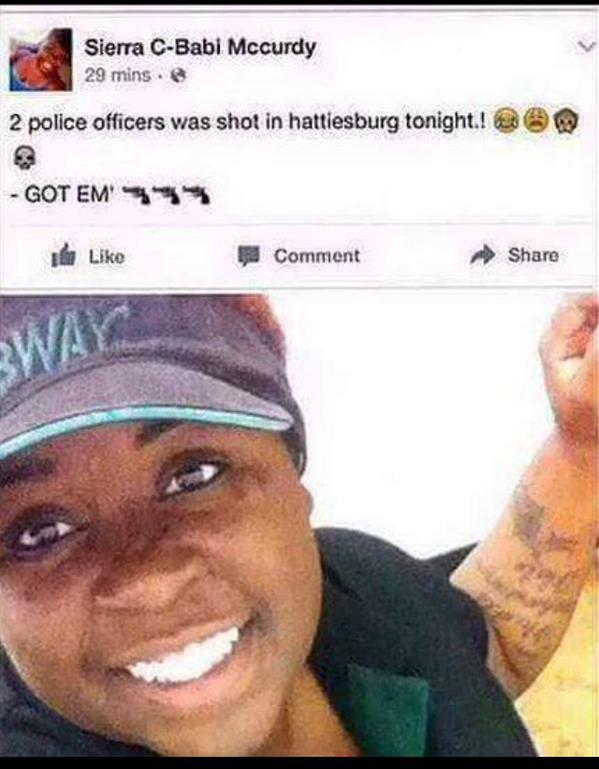 She wrote: ‘Two police officers shot tonight in Hattiesburg,’ followed by ‘GOT EM’ and a gun pointed at the words as well as a laughing emoji. Thousands of tweets and Facebook posts demanding a response from the company began to appear almost instantly after her post. By Sunday night, the popular sandwich chain had handed Mccurdy her walking papers. An engineer from the US, who had job offers from both Uber and Zenefits posted a thread entitled “What is the best way to start my career: Uber or Zenefits?” on Quora. Things did not quite go as planned when the CEO of Zenefits happened to come across his post. He did not take kindly to his company being compared unfavourbly to Uber, and withdrew the job offer right there. Even in India, where government jobs are considered to be for life, A.K. Verma was pushing it. Verma, an executive engineer at the Central Public Works Department, was fired after last appearing for work in December 1990. “He went on seeking extension of leave, which was not sanctioned, and defied directions to report to work,” the government said in a statement Thursday. Even after an inquiry found him guilty of “wilful absence from duty” in 1992, it took another 22 years and the intervention of a cabinet minister to remove him, the government said. India’s labor laws, which the World Bank says are the most restrictive anywhere, make it hard to sack staff for any reason other than criminal misconduct. In the most recent of cases, a New York City Starbucks employee was fired after cellphone video showing her ranting at customers in a Queens store went viral shortly after being posted online. Ruby Chen said the Starbucks employee accused her of trying to steal a cookie straw and starting yelling at her to get out of the store, NBC reports. Got fired? Yay! This was a blessing in disguise.